From Queensferry we drive up and onto the Forth Road Bridge, giving us a great view across to one of Scotland's greatest man-made landmarks - the Forth Rail Bridge. At over a mile and a half (2300m) long, the bridge was completed in 1890, and until recently was the longest Cantilever bridge in the world. It is a testament to Scottish engineering. Once over the bridge we enter the Kingdom of Fife. Bounded to the south by the wide Firth of Forth which you just crossed, to the north by the Firth of Tay and to the east by the North Sea the area was once a sub-kingdom of the old Pictish realm, a natural peninsula almost cut off from the rest of Scotland, and so remained semi-independent for longer than other parts. 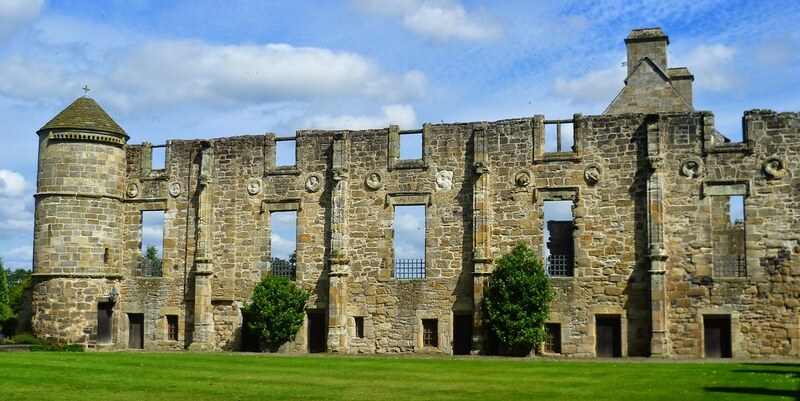 Central Fife used to be very poor, until the discovery of coal, while the towns and villages along its coastline were rich from all the trade across the North sea, causing King James VI to describe the area as a 'Beggar's mantle fringed with gold'. 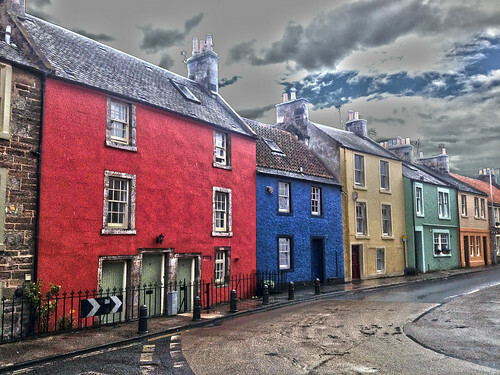 The golden fringe he referred to was the East Neuk (or nook, meaning corner), Fife's easternmost stretch of coastline and home to a string of picturesque villages each with its own distinctive character and charm. One of these, Lower Largo, is best known as the birthplace of Alexander Selkirk - the real-life Robinson Crusoe and inspiration for Daniel Defoe's novel whilst neighbouring Earlsferry is said to be where MacDuff hid from Shakespeare's Macbeth. 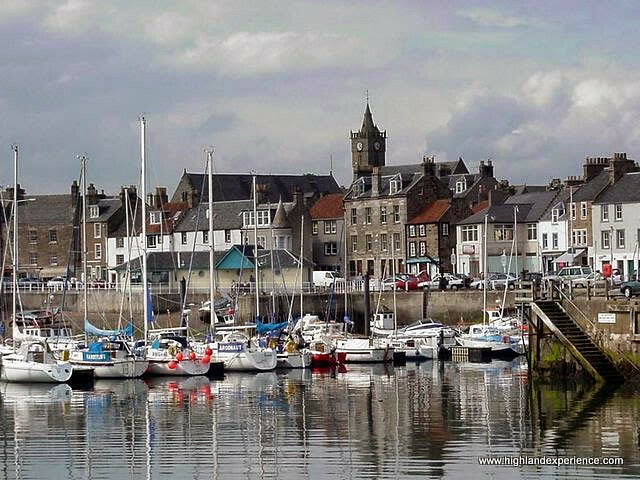 We stop in the traditional fishing village of Anstruther (known as 'Enster' locally) where you can check out its old cobbled streets and network of little alleyways and wynds or take a walk along the seafront to the harbour. 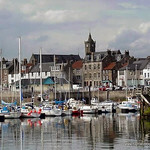 From Anstruther we continue north to the medieval town of St Andrews. 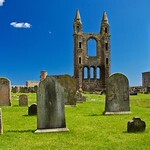 St Andrew is the patron Saint of Scotland, and according to legend his remains were washed up on the Fife coast. 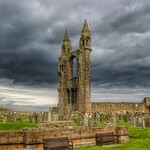 The shrine became a place of worship for Christian pilgrims from far and wide and the town developed into the religious capital of Scotland complete with a huge Norman Cathedral, the largest in all of Scotland. Founded in 1160 the Cathedral was devastated first by fire and later by zealous religious reformers but the ruins provide a fascinating insight into what it once must have been like. 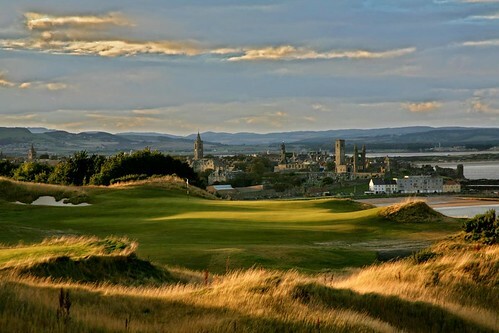 Today St Andrews attracts another type of pilgrim, being famous world-wide as the home of golf and the Mecca for all golfers - the 'Old Course'. The course, founded in 1754, is in beautiful condition and its emerald green grass contrasts with the golden sands of the beach nearby. 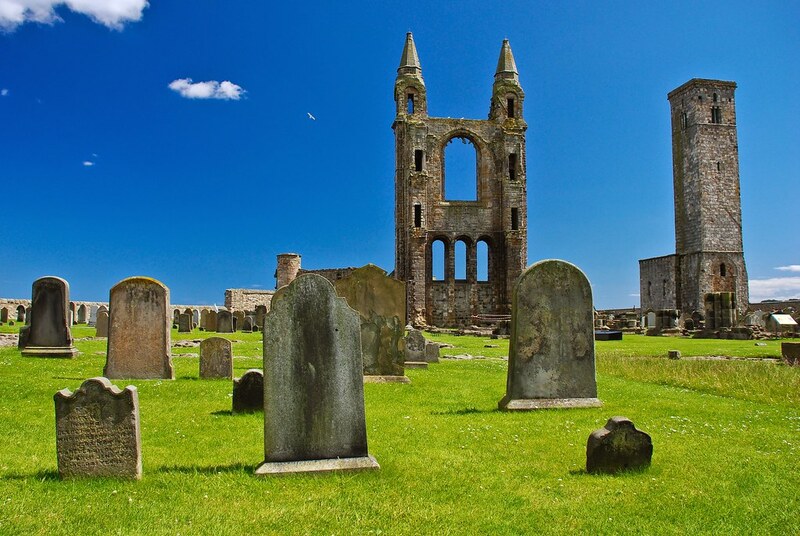 St Andrews is also home to the oldest University in Scotland, at nearly 600 years old, and the third oldest in Britain behind Oxford and Cambridge. 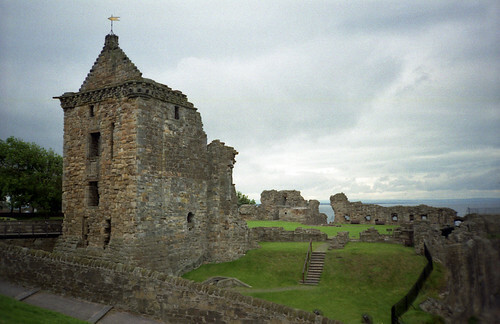 Also dating from this period is the town's once mighty castle which, perched on a rocky headland overhanging the sea, is a ruin with a violent and murderous past. Every street, every building is surrounded with history and we give you almost 3 hours to explore this amazing town. 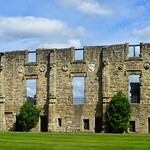 From St Andrews we take a pleasant drive through the rolling countryside of central Fife, with its small villages and patchwork of farms, to Falkland. 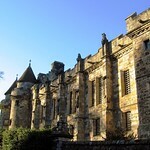 Falkland Palace (open from April to October) dominates this old village, and was one of the main residences of the old Royal family of Scotland, the Stewarts (Stuarts). 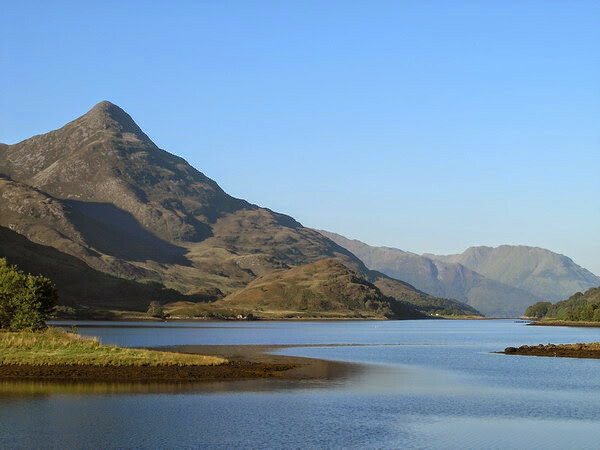 Aside from the palace the village is simply one of the most beautiful in Scotland with an array of old cottages and narrow winding streets. The village was used recently to double as old Inverness during filming of the "Outlander" series based on the books by Diana Gabaldon. You can take time to wander around the picturesque village or enjoy a drink in one of the villages traditional pubs or tearooms. Leaving Falkland we return to Edinburgh, passing Loch Leven, where Mary Queen of Scots was imprisoned by her Protestant nobility. And then we once again cross the Firth of Forth and return to the city centre. Entrance to St Andrews Cathedral & Castle and Falkland Palace (Apr - Oct). This tour departs every day all year, guaranteed. Click on the 'Book Now' button to check availability and process your booking. Payment will be required during the booking process, and you'll receive immediate confirmation. 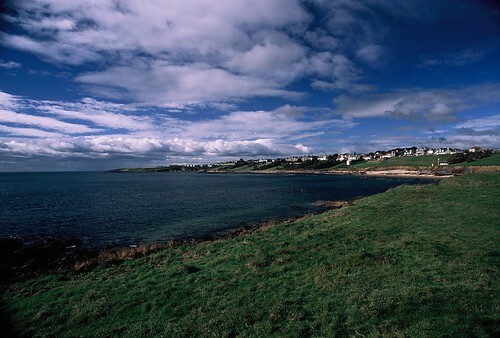 Known locally as Anster (pronounced enster), this is the largest of the East Neuk villages in Fife. 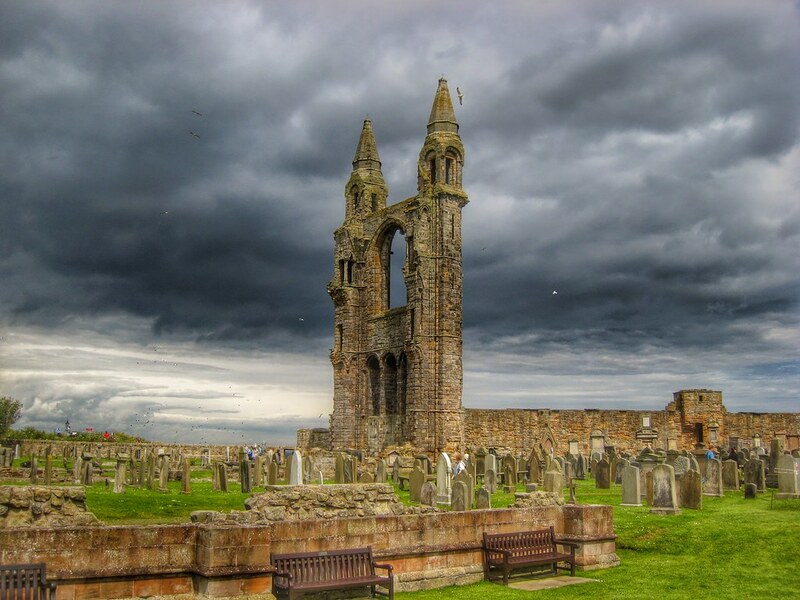 St Andrews is not just about the golf, the place has a medieval charm with beautiful sights and also an ancient university where the rich and the famous study. 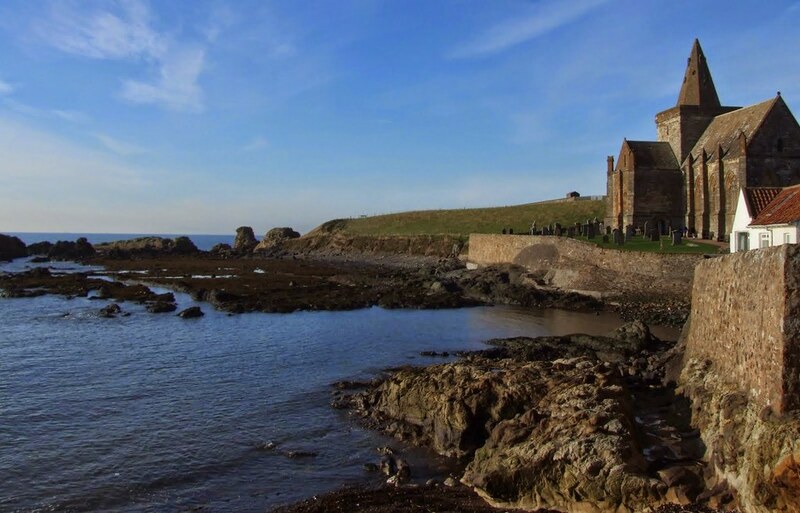 Beautiful and windswept south east coast of Fife populated by charming fishing villages that look over the North Sea and are popular holiday haunts in the summer and are quiet and sea blown through the northern winter. 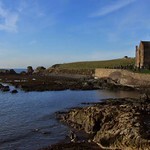 Visitor's guide to Largo, Fife with useful links to East Neuk and tours. Largo is seaside town near the Largo Bay to the north of the Firth of Forth and Lower Largo in particular is a favourite tourist haunt. 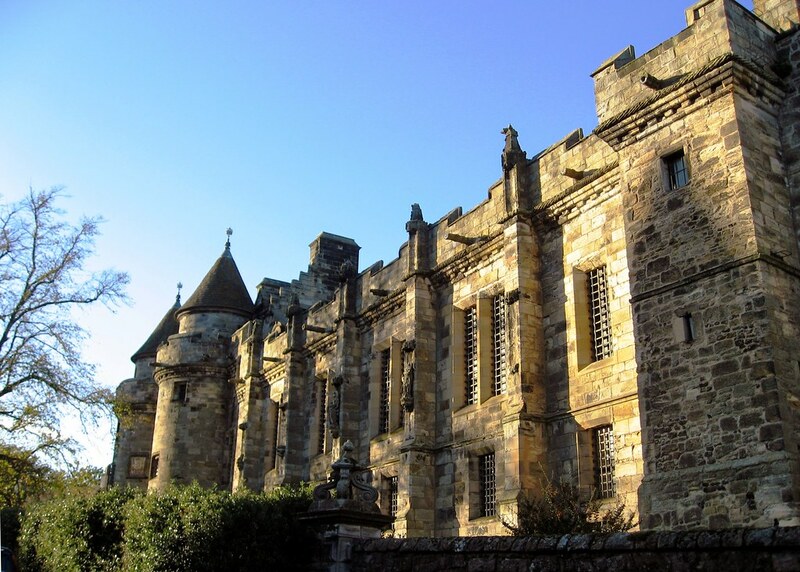 Visitors guide to Falkland, in the centre of Fife, a town that's frequented by tourists in large numbers in the summer and includes information on sights, accommodation and activities like walks around the place.